Why the beer industry is betting big on zero ABV. If you’ve been following beer news for the first four days of the year, you wouldn’t be faulted for wondering if 2019 is the year that beer goes alcohol-free. The Italian brand Peroni (now owned by Asahi) announced its first ever foray into non-alcoholic beer with Peroni Libera 0.0% in the United Kingdom. 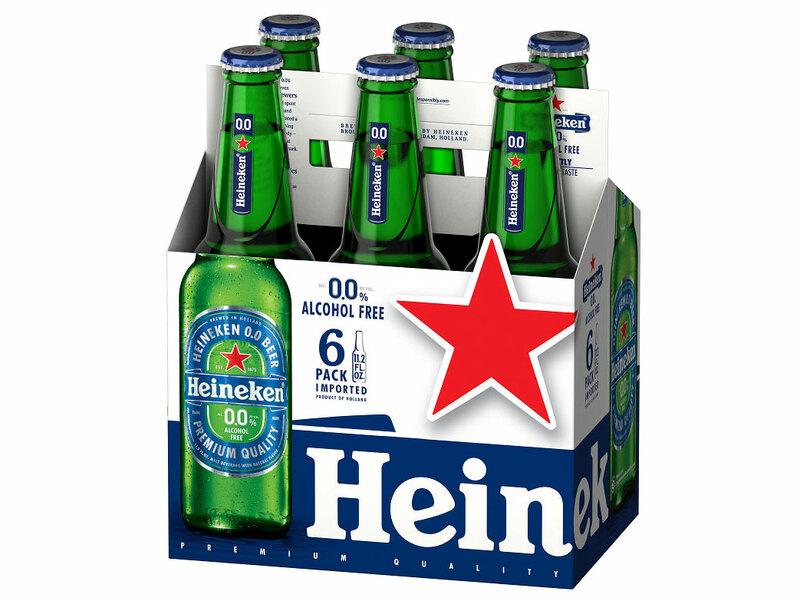 Similarly, Heineken officially launched its much-ballyhooed Heineken 0.0 in the United States. And news broke that even Leffe — a brand of Belgian abbey ale dating back to 1240 (and now owned by Anheuser-Bush InBev) — would be releasing a zero-alcohol iteration of the brew in the coming months. With the concept of “Dry January” proving to be a hot topic right now, the timing of all these announcements probably isn’t coincidental. Still, last year, we also saw major brewers like Guinness and Budweiser expand their non-alcoholic beer offerings: Clearly, a lot of big names are banking on non-alcoholic beer. But why? The easy answer is that brewers are following the money. Many major breweries have seen sales stagnate or fall in recent years, but the sales of non-alcoholic beers continue to increase especially in Europe. As Reuters reported in 2017, from 2010 to 2015, the zero alcohol beer segment in Europe saw sustained growth while the overall beer market shrank. Heineken cited these kinds of stat with its initial 0.0 launch. “You could expect 10 to 15 years down the road this would be more or less the global trend,” brand director Gianluca Di Tondo was quoted as saying. That growth is primarily believed to be spawned by a general switch towards healthier lifestyles, especially with younger people — and that applies not only to an interest in drinking less alcohol, but other unhealthy beverages as well. As a result, brewers are hoping to position zero-alcohol beer not only as a beer alternative, but potentially as an alternative to sodas too. And circling back to money, as Reuters also pointed out, non-alcoholic beer can potentially offer brewers higher margins because they are subject to lower taxes. In America, the non-alcoholic beer market is extremely small — accounting for just 0.3 percent of off-premise sales according to Brewbound. But the site also points out that 30 percent of Americans don’t drink alcohol. When you take into account that overall U.S. beer sales dropped by about 1 percent in 2017, the biggest names in the industry are getting desperate for renewed growth. For the time being, the thought appears to be that the status quo won’t cut it. Instead, catering to the health-conscious younger crowd and the untapped non-boozing market appears to be one of the answers. “It’s not just about 2019, but the future of the beer category,” Katharine Preville, the lead brand manager for Heineken 0.0, told Brewbound. The Dutch brewing giant even believes that non-alcoholic beer could account for five percent of its U.S. sales by 2023. Translation: Expect to hear about even more new non-alcoholic beer launches in the future.